CNC Cutting – Thuro Metal Products, Inc.
As with traditional cutting services, CNC machines may utilize knife, laser, water jet, plasma or flame methods depending upon the advantages and disadvantages they offer in specific applications. Machine shops and mass production facilities in a broad range of industrial and commercial settings including aerospace, avionics, automotive, agriculture, food and chemical processing, pharmaceutical, military and defense utilize this particular type of machining in daily operations. An acronym for computer numerical control, CNC machining offers quick, precise and accurate cutting with little interference from the workforce, which all but eliminates human error. The depth and location of each cut is the result of encoded computer instructions fed into the machine. Cutters are capable of operating on up to six different axes of motion for increased access and opportunity to perform operations along the entirety of the object or material. CNC cutting can be performed alone or in conjunction with various other tooling processes depending on the machine or cell configuration. While some machines can perform up to 400 individual operations, others contain more limited tooling apparatus. It is important to consider the broader operations available at a specific CNC machine shop as well as material, dimensional and maximum volume and speed capabilities. Once an accommodating facility is chosen, all CNC work begins with the product design or concept. Highly trained machinists and engineers assist clients in creating a specific schematic. Often computer assisted design (CAD), computer aided manufacturing (CAM) and other software such as photo imaging are used to develop the design, complete with measurements and specifications. These data are then converted into a specific computer language or code that will be read by CNC software. This standardized code directs the actions of the cutting device. Before the automated sequence is activated, however, the raw material or semi-finished product must be loaded into the machine. 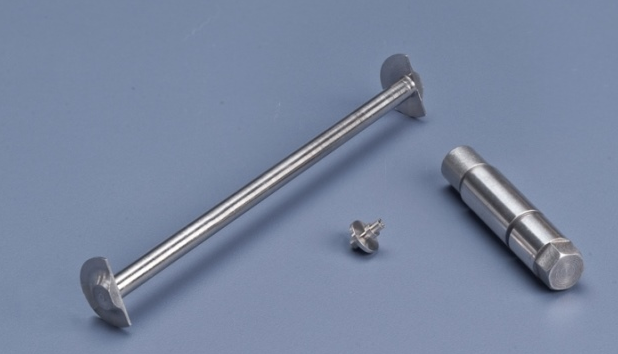 Either the tooling or the material will be affixed to a rotating spindle with the other component being clamped or vacuumed to a secure surface. In applications where a change of tool is needed, CNC tool changers can be automatically adjusted in as little as two seconds. The final product is a high precision easily reproducible part made in a fraction of the time it would take to manually cut it. 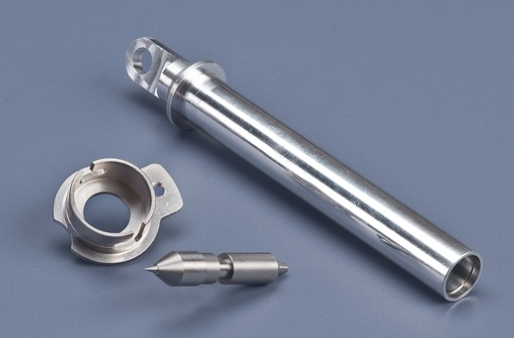 The CNC process does not completely eliminate human personnel since the machines require careful supervision and maintenance to ensure continued accuracy. All operations should comply with the regulations set forth by the International Organization for Standardization (ISO), specifically ordinances ISO 9001:2000, ISO 13485:2003, ISO 14001 and ISO/TS 16848:2002 which relate to and define industry specific quality standards. CNC Cutting CNC cutting is a precision manufacturing process that uses a number of different mechanical techniques in conjunction with computer numerical controlling software to remove excess material and create complex two dimensional and three dimensional shapes.